There are several ‘Desert Golf’ destinations around the USA. The list includes Palm Springs, Scottsdale, Las Vegas and one that offers very good golf and lower-than-most prices: Mesquite, Nevada. We’ve been telling you about Mesquite for several years now, but there is more good news from this destination, just over an hour drive from McCarren International. 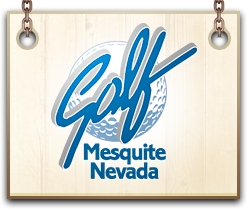 The Golf Mesquite Nevada organization now has more than 10 years as a marketing group. They have brought together several of the top courses in the area and have partnered with the best hotels to create affordable packages for your golf group. 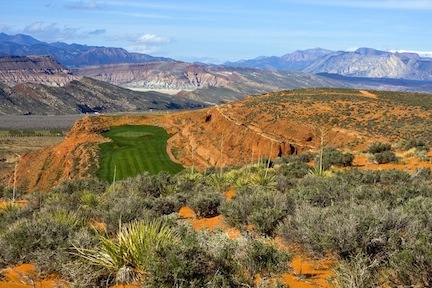 In addition to having courses built by some of the best designers in the business, this group has the vision to reach over their Nevada border into Southern Utah and bring into their group, one of the most enjoyable and spectacular tracks anywhere. I write of Sand Hollow in St. George, Utah. The hour drive to Sand Hollow from Mesquite is simply one of the most jaw-dropping drives in America. You will actually go through the NW corner of Arizona and meander through the Paiute Wilderness while encountering cliffs and gorges you think will never end. You will see elevations of 8,012 feet in the distance and you will make switchback turns while tempted to turn your view away from the road. The course you find when you get there is equally stunning. Located only miles from Zion National Park, the topography of Sand Hollow is spectacular. 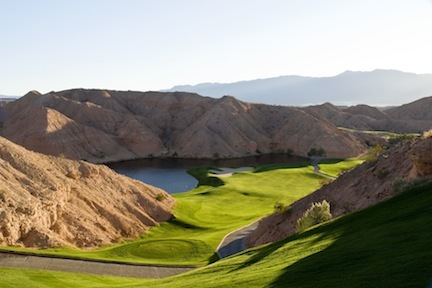 Red rocks, elevation changes and an exemplary layout by John Fought on this 27 hole gem make this the most spectacular venue of the Golf Mesquite group, even if it is two states away. Within the actual city of Mesquite, your multi-round trip should include Conestoga, for sure. Again, it provides spectacular visuals and a very good and playable layout from course designer Gary Panks. You will find rugged rock formations, gentle water features and the appearance of being a design where nature played a part. 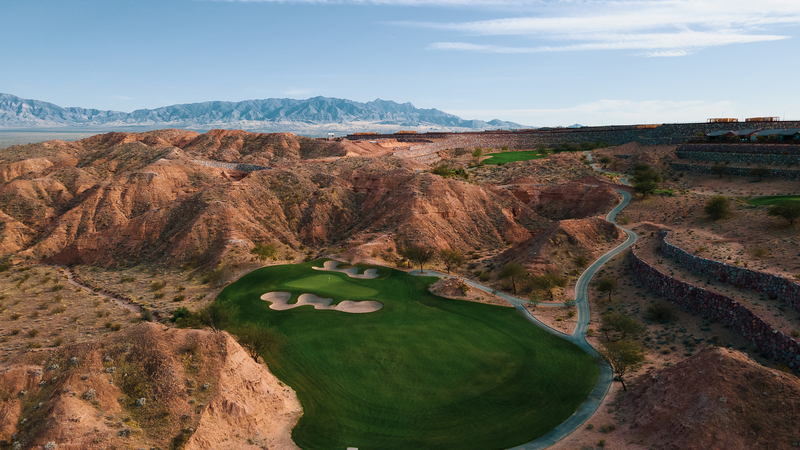 Falcon Ridge, Coral Canyon, Coyote Springs and The Oasis Club with their Canyon and Palmer Clubs round out the options and every one of them is worth the price. Best of all might be the lower than expected prices at all these Mesquite venues. the multi-million dollar renovation of this 214 room facility and is an industry veteran with over 30 years of leadership in gaming and hospitality. He can tell you some tales of his days in Las Vegas in the ‘early days’. Rooms are more than adequate, dining is better than average and the gaming offers the usual multitude of options. Our recommendation is to visit GolfMesquiteNevada.com or call 866-720-7111. Then do yourself a favor and plan your next golf trip to Mesquite.